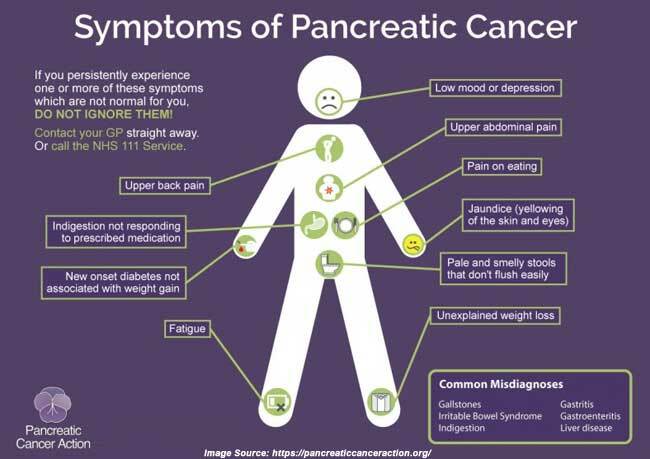 Pancreatic cancer occurs when abnormal cells grow in the pancreas and divide out of control and form a tumor. Pancreatic cancer is a form of cancer that starts in the tissues of the pancreas. The pancreas is an organ found in the abdominal area particularly behind the lower portion of the stomach. It is responsible for secreting enzymes that help in the digestion process and hormones that assist in regulating the metabolism of sugars. Pancreatic cancer usually has a poor prognosis even with early diagnosis. In most cases, it spread rapidly and it is rarely detected during the early stages that are specifically the reason it is among the leading causes of cancer deaths. 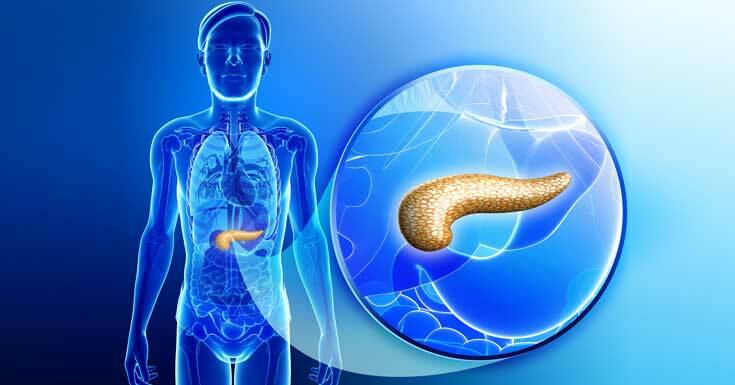 The most common type of pancreatic cancer is exocrine cancers which mean they begin in the exocrine pancreas cells that functions to produce pancreatic digestive juices. More than 80% of exocrine pancreatic cancers are categorized as adenocarcinomas and most of these are the ductal type. These are cancers that originate from the cells that line the pancreatic ducts. There is also a rare type of exocrine pancreatic cancer which are cystic tumors and cancer of the acinar cells. Cystic tumors result to a cyst or sac/s filled with fluid in the pancreas, but most are non-cancerous. Cancer of the acinar cells grows more slowly and has a better outlook. Acinar cells are located at the ends of the ducts which produce pancreatic juices. There are also endocrine pancreatic endocrine tumors but these are uncommon. They originate from the endocrine pancreas where insulin and other hormones are produced. They are also known as pancreatic neuroendocrine tumors or islet cell tumors. There are other rare types of pancreatic cancers that include pancreatoblastoma, sarcomas of the pancreas and lymphoma. 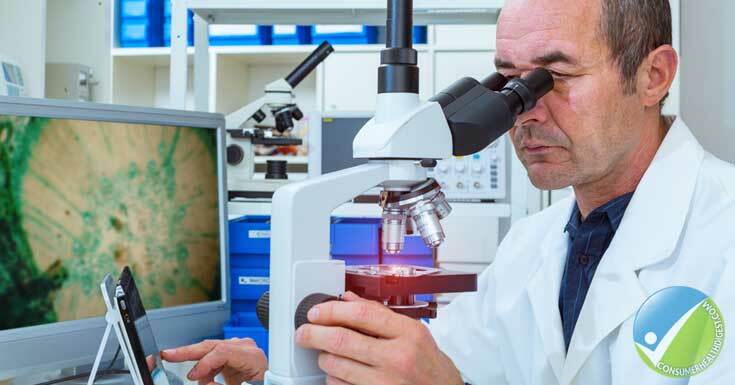 Pancreatic cancer develops when cells in the pancreas behave abnormally and multiply rapidly. A single cancerous cell grew and divided rapidly developing into a tumour that can spread to other parts of the body. It is still unknown why this occurs, but there are certain risk factors linked to the development of pancreatic cancer. Imaging Tests: It helps by giving the physician a visual image of the internal organs including the pancreas. It can include ultrasound, CT scan or MRI. The Use of a Scope to Get Ultrasound Pictures of the Pancreas: known as endoscopic ultrasound, a device is used to create images of the pancreas from inside the body. Endoscopic Retrograde Cholangiopancreatography (ERCP): Dye is used for highlighting the bile ducts in the pancreas. This can also involve the removal of a cell sample (biopsy). Biopsy: A tissue sample is removed which will be tested. Surgery: If the cancer is confined only to the pancreas then surgery is an option. It can be surgery for tumors in the pancreatic head where a Whipple procedure is done. For surgeries that involve tumors in the pancreatic tail and body, distal pancreatectomy is used which may include the removal of the spleen. This type of surgery is risky and may cause bleeding and infection. Radiation Therapy: High energy beams are used to destroy cancer cells. This can be done before or after surgery and it is often done together with chemotherapy. Chemotherapy: Drugs are used to assist in killing cancer cells. It can be taken orally or injected directly into a vein. One or more chemotherapy drugs may be given to the patient depending on several factors. Targeted Therapy: Drugs are used to attack particular abnormalities in cancer cells. The targeted drug erlotinib works by blocking chemicals that signal the growth and division of cancer cells. It is often used with chemotherapy in treating people with advanced pancreatic cancer. Be careful of alternative medicines and treatments and always consult your doctor before trying these treatments. In many cases, they can do more harm than good and can even put your life at risk. It is important to follow a balanced diet and get enough physical activity unless your physician advises otherwise.